I received this book for free from the author and the publisher in exchange for an honest review. This does not affect my opinion of the book or the content of my review. Gah, the Codex Guild makes me so happy. It is fun, fast paced and doesn’t take its self too seriously. I absolutely adore every character in this series and appreciated getting more face time with a few. Like what is going on with Ezra? And ZAK!! The wait until Demon Magic and a Martini is going to be almost as painful as the wait for Blackfire. One of my favorite parts of the Guild Codex series are the friendships among our main characters which get better with each book. Two Witches and a Whiskey took these relationships and made them even deeper through the lens of Tori’s inner struggles and insecurities. The power of the family you choose and that chooses you, is so beautiful in this book and something I found really relatable. Two Witches is another strong edition to the Guild Codex: Spellbound world which just gets better and better with each book. I find myself falling more in love with the old characters and completely charmed by the new ones. I also really appreciate that each book is it’s own story or episode within the larger story. I can only tolerate cliffhangers for so long. Patience is my lesson and not my virtue. 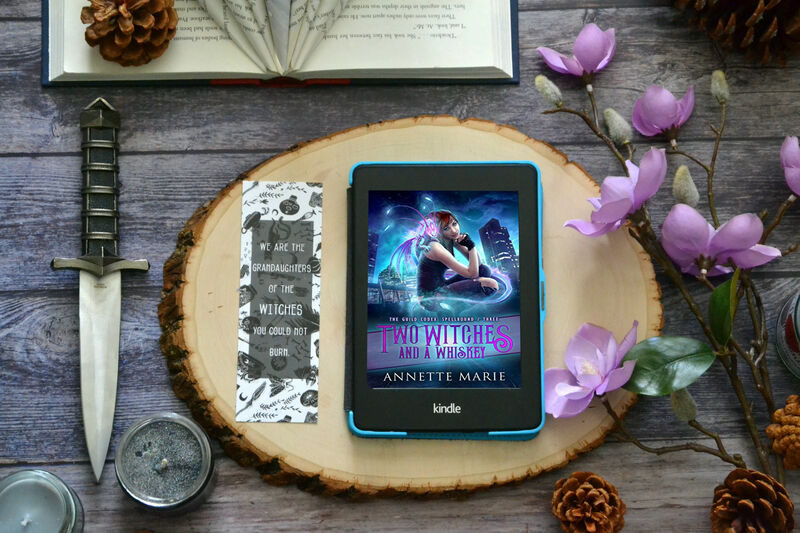 Please do yourself a favor and pick of ANY of Annette Marie’s books. They are so much fun. 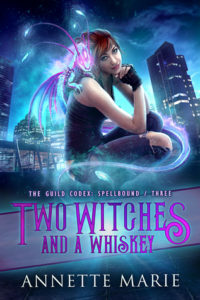 Make sure to grab your copy of Two Witches and a Whiskey on February 7th!